The seed of Caraway plant, Carum carvi, is used as a spice to flavour meats, breads etc. Young leaves are used in salads and the tap root cooked as a vegetable. In Europe, a tea made from the seed has been used as a traditional remedy for bad breath, indigestion, intestinal gas and poor appetite. It is also said to support the immune system. Caraway plant is native to Europe and Asia and is adaptable to most garden soil in a protected, sunny position. Drought and frost tender. Biennial or perennial, depending on climate. Grows to 0.6m x 0.5m. 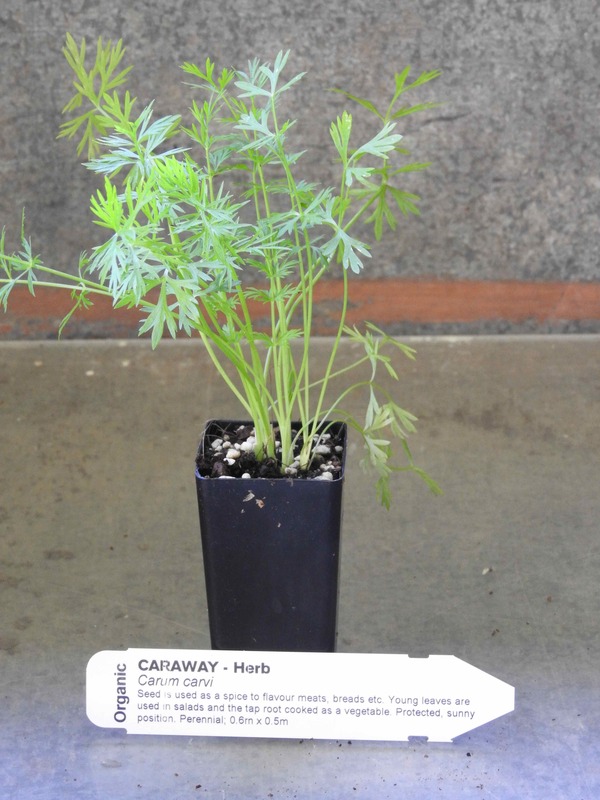 Be the first to review “Caraway, plant” Click here to cancel reply.